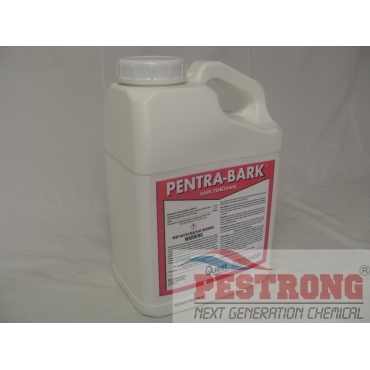 Where to Buy Pentra Bark, Pentra-Bark Bark Penetrating Surfactant - Gallon - $124.95 for Sale with Fast Free Shipping! Pentra-Bark Bark Penetrating Surfactant - Gallon is a superior nonionic wetting agent, designed for improving penetration of fertilizers, nutrients, insecticides, fungicides, and herbicides through bark of water based basal applications. It is a nonionic organosilicone wetting agent designed for use in certain agricultural and horticultural uses where a nonionic surfactant is recommended. Insecticides, Miticides & Fungicides -- 6 to 32 fl. oz. Herbicides -- 12 to 64 fl. oz. Glyphosate formulations without added surfactants -- 12 to 64 fl. oz. Defoliants & Desiccants -- 12 to 64 fl. oz. Fertilizers & Micronutrients -- 4 to 32 fl. oz. Marvelous surfactant! It works wonderfully. I can notice the difference from applying fertilizer without this and applying fertilizer with this product. I am glad I decided to take a chance on this product.